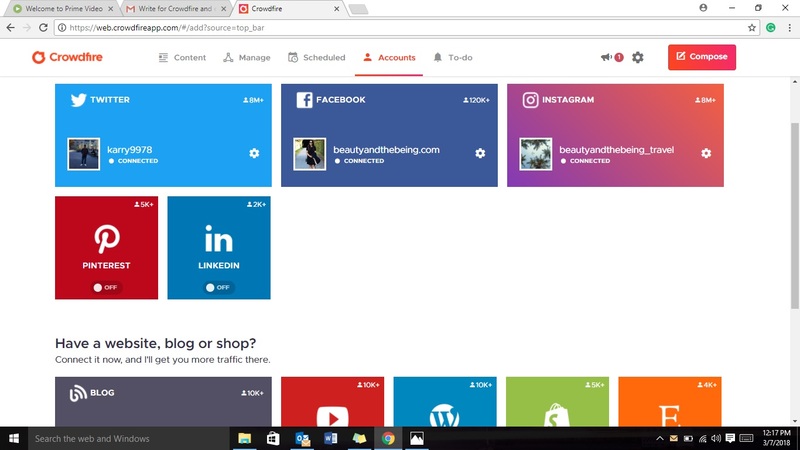 Crowdfire – The Social Media Management Tool We Are Using and Loving Right Now! We have been blogging for a while now and trust us, it is not as easy as it sounds! Blogging isn’t only about writing an article and publishing it, it is also about promoting it and making sure it reaches your target audience. In the past, we were largely dependent on Instagram for our social media shout-outs and it’s only recently that we consciously started to become more active and involved (on our otherwise dormant) Twitter account and soon we realized how difficult it is to build a constant and steady followership. Managing social media is tough, it needs dedication and time (a lot of time! ), you need to be constantly in the radar to up your game every single day. 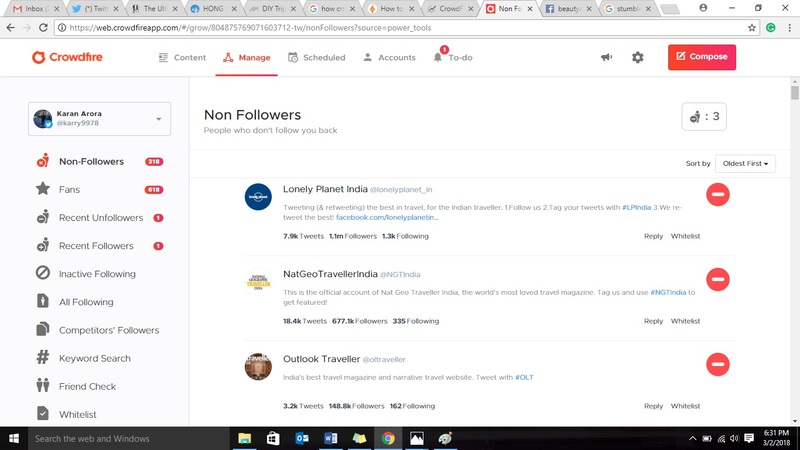 So, we searched the web and came across a social media management tool called Crowdfire and thought of giving it a try and the experience till now has been an absolute delight. We have had a steady and organic growth on our Twitter account which in turn has helped in increasing viewership on our blog. First up, you can link your Social Media Platforms like Twitter, Instagram, Facebook, Pinterest, Youtube and Blog/Website to Crowdfire and it will share smartly curated images/content every day to keep your followers engaged. It also automatically posts Tweets/Images at the best time to ensure you get more engagement on your social media accounts. You can also schedule your articles (from your blog/website) to go live on various social media platforms such as Twitter and Instagram at a later date and time. Apart from that, you can easily track who is following and who is not following you and take relevant action (though the free version has a daily restriction). One of the features which we like is that you can see followers of users with similar content as yours. What that does is essentially makes your target reach a lot sharper. A somewhat similar feature is the keyword following. You basically just type in a few keywords which you might be using a lot and you will see a lot of users who use the same keywords. You can follow these users and a certain percentage will follow you back, helping you grow your own following. 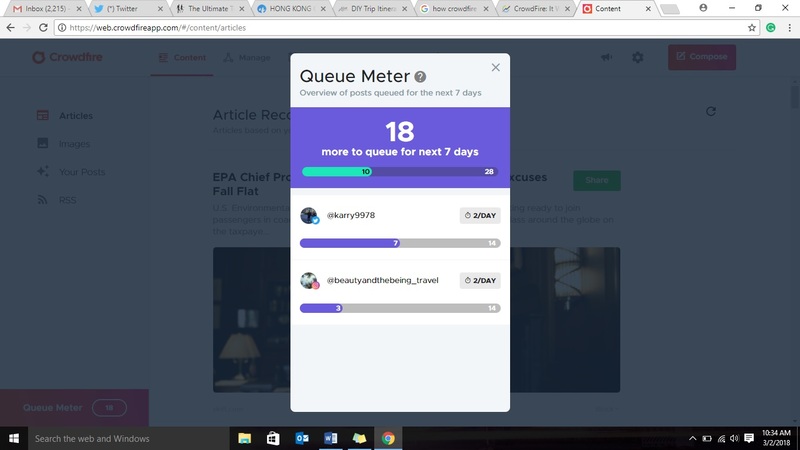 Queue meter is a fairly new addition and this tells you the number of posts you should ideally schedule for the next 7 days. You also receive a weekly mail which gives you a quick report on your performance. This is great as it gives you a bird’s eye view of your progress. Coming on to our experience with Crowdfire – We have thoroughly been enjoying using Crowdfire. The best part is that the app is fully functional and very user-friendly. You can install the app on your phone and that is what we have done, so we seldom use the desktop site, which means that you can push your content while you are on the go – anytime and from anywhere! When we started using Crowdfire it had an additional feature of Auto DM for new followers (we think has been discontinued now because of some Twitter policy), which was quite nice, but to be honest – we personally don’t miss it much. 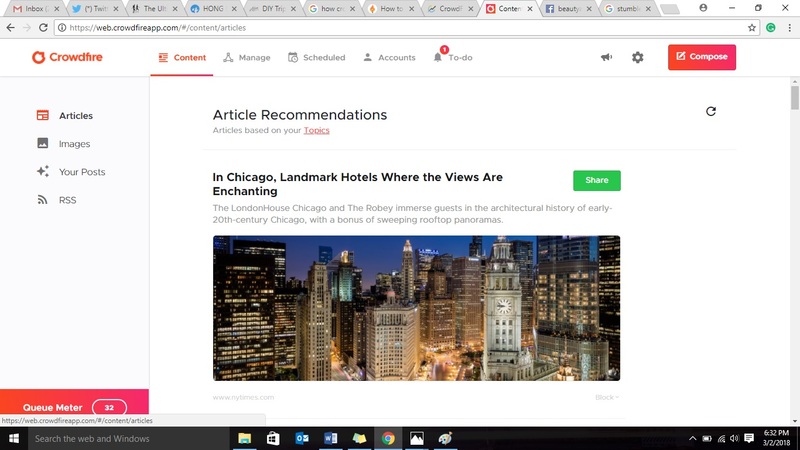 Our Verdict– We have been using and learning Crowdfire for some time now and completely love it. Do we recommend it? YES, absolutely! Even if you don’t use the tool to its fullest strength it will still help you tremendously. You don’t have to sit for hours and hours on your various social media accounts to push your content anymore – simply let the Crowdfire app do it for you! 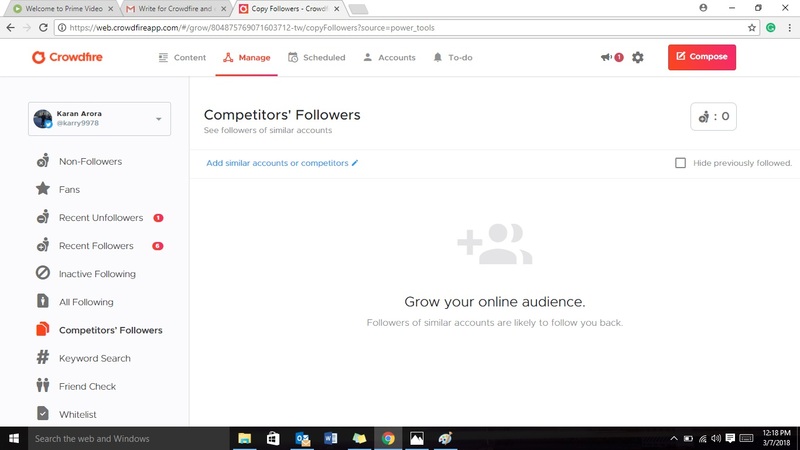 We highly recommend trying Crowdfire because it’s so user friendly and personally it has helped us grow our audience and reach.